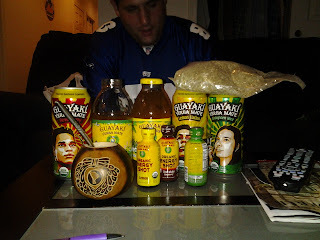 “Isn’t that stuff supposed to increase concentration?” asked my roommate when I showed him the unopened package of Guayaki Yerba Mate in our living room. 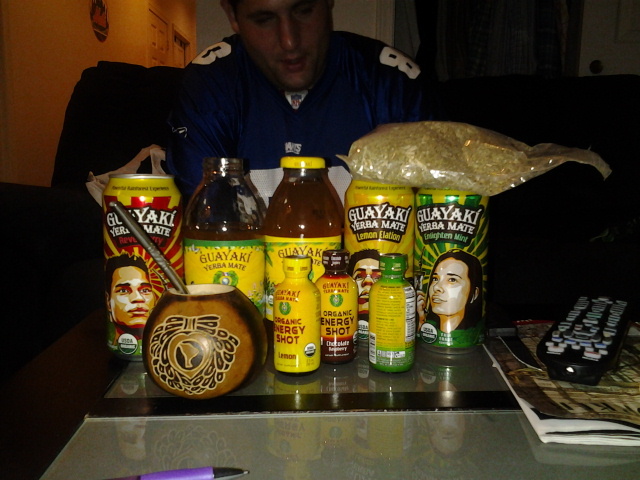 He was referring to the mate used in Guayaki’s products, naturally grown in remote towns of Paraguay and other South American countries. It can be drank hot or cold, and is become a more widely used substitute for coffee, Red Bull, and Diet Coke, to name a few. We first contacted Guayaki through Facebook, and they were excited at the opportunity to spread the word about their drinks to a [intelligent, savvy, really attractive] college audience. College students nowadays have a huge sway in the success or failure of new products, and with all the communication tools we have nowadays, word spreads fast when students deem something legit. And that’s not even to say that Guayaki tea is unheard of; they already have a large market share of beverages out West, and can be found all across the country in Whole Foods Stores and other Free Trade vendors. An array of canned and bottled drinks with pretty stunning designs, a gourd, a sweet metal straw with cleverly shaped holes, and an actual bag of Mate leaves. Awesome product box. Doesn’t my roommate Scott look curious? Some might marvel over such a site and not dig in, but we cracked one of the bottles open instantly. Flavor: Pure Empower Mint. Tasted amazing, and I felt small surges of caffeine within about 3 minutes. I left this nice array on our coffee table all evening, and everyone who strolled by had to try some. I even let some party-goers sample the energy shots. Back to the present. As a little point of reference, I was tired and hungover about 10 minutes ago, but cracked open a can of Lemon Elation (tall can, similar size as Monster), and now my fingers are flying across the keyboard. Just thought it’d be appropriate. The stuff is un-carbonated, so it’s like a juice, but your taste buds can tell there’s more going on. The naturally infused Mate kicks in almost instantly. So stroll over to your local Whole Foods and try some out. It’s a fresh change in pace for us caffeine guzzlers, and has other crazy nutrients as well. Also, wouldn’t you rather support a small company who actively helps rural communities grow than some massive conglomerate? 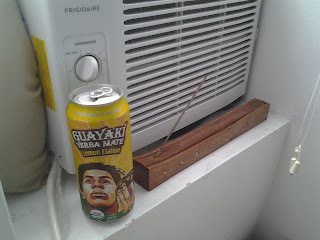 Sidenote: We’ll include more about Guayaki’s global reach in the next post we do covering them. If you’ve experienced the natural goodness that is Guayaki tea, we’d love to hear your 2 cents in the comments. Or, if you’d rather just keep on reading, that’s fine too. Looks like we got a FIRST! As Naraguy pointed out, I looked intensely at the bottles of tea for about a half hour. After I guzzled down my first gulp, it was instant "Feel Good". At this point I was ready to watch my Sunday football in my Giants jersey.